Established in 1996, La Grange Interiors was initially set up in a 200-year-old barn in the picturesque town of Franschhoek. 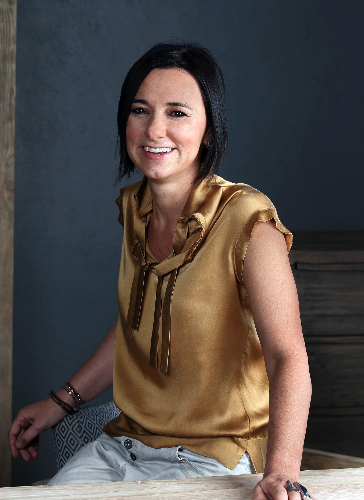 In the following two years Sumari Krige expanded the brand to open a second outlet in Pretoria and shortly after a third sprawling showroom in the décor hub of Kramerville, Johannesburg. The most recent retail space was opened in 2015, located in the heart of the supremely trendy area of Woodstock in Cape Town. The brand has a unique offering in that each item is handpicked or custom designed be Sumari herself, and invariably has an unusual tale or experience attached to it. Her passion for the extraordinary takes her all over the word – to little known crafters’ exhibitions, dusty antique stores and to artisan families who have been plying and perfecting their skills for generations – all in a quest to uncover distinctive, handmade items that speak to her and that she knows her clients will covet. New stock is unpacked weekly, ensuring discerning visitors to the La Grange showrooms are always treated to some new inspiration. The brand effortlessly marries contemporary interiors with industrial influences and eclectic additions and above all, promotes easy, refined living. From luxurious soft furnishings in textured natural linens to timeworn antiques, custom designed wooden furniture, lamps and accessories that blend easily with La Grange’s signature casual yet elegant rattan furniture. Sumari’s eye for timeless and exclusive ite ms for the home is superb. The showrooms are crammed with eye candy and inspiration for the décor enthusiast and plays host to a handpicked team of professionals well versed in providing inspiration and decorating solutions for homeowners, from the micro finishing details to statement furniture items. They are also on hand to provide excellent advice on ‘pulling a look together’ and are available to consult on interior concepts and helping clients to hone their spaces to reveal and achieve their full potential. In addition, Sumari herself takes on select, exclusive projects such as lodges, hotels and private homes, giving them the unique La Grange stamp. It is a testament to the company that the majority of its projects are generated by returning clientele. Started in Amsterdam, The Netherlands in 1986. Clear, innovative, tongue-in-cheek, every pols potten product shows its Dutch roots. It’s these very same qualities that make our products feel right at home anywhere in the world. Whether it is in a hotel, lodge or your very own home. The brand globally offers a style-conscious concept and invites you to forget about normalcy. Available exclusivley in South Africa from La Grange Interiors. Produced only in Eastern Europe, Dutz is a traditional glassblowing company. Each vase, bowl, pot, candle holder, candle glass, drinking glass or carafe is the result of dedicated craftsmanship of the glassmakers that is mouth blown and hand-formed.